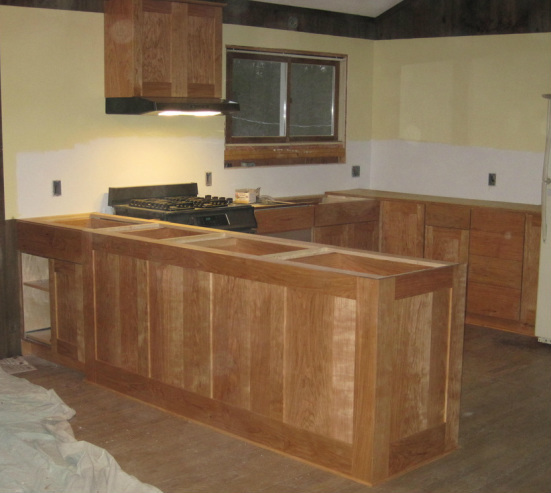 All of the following kitchens were done with custom cabinets built in my woodworking shop. (I will also do jobs using factory cabinets). 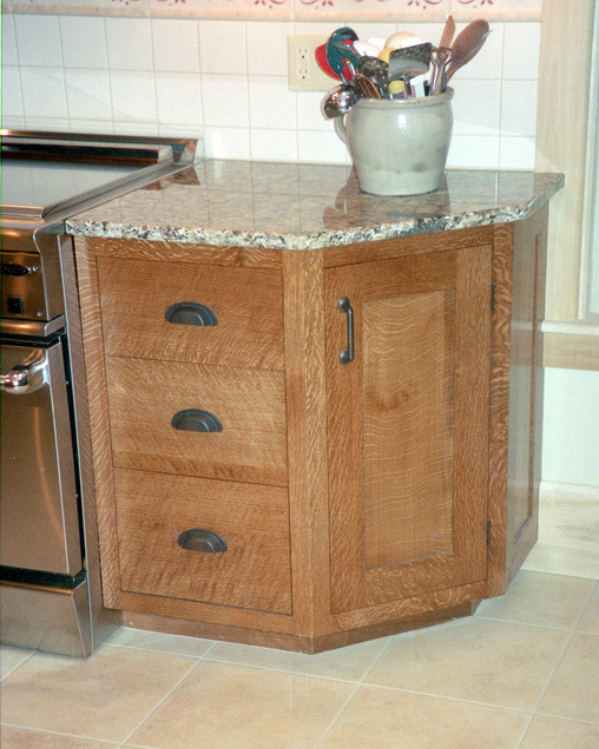 The advantages of custom cabinets are: they can be any dimension, and will fit your space perfectly. This avoids using fillers and awkward sizes. 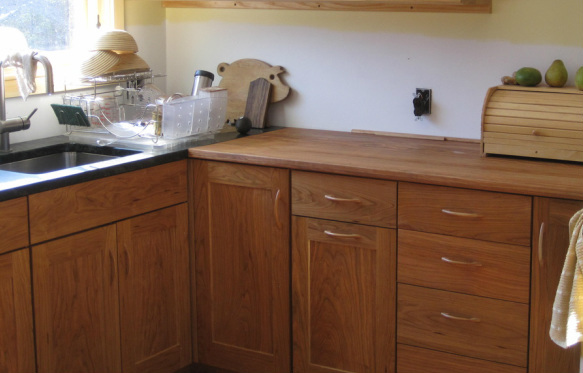 They can be any species of wood, stain and finish you desire; factory cabinets have limited choices. Any hardware you might see in a kitchen showroom can be incorporated into my cabinets (drawer glides, hinges, handles, lazy susans, pantry and trash bin pullouts, etc.). And finally, the construction and durability is topnotch, equal to or better than the most expensive factory built cabinets. 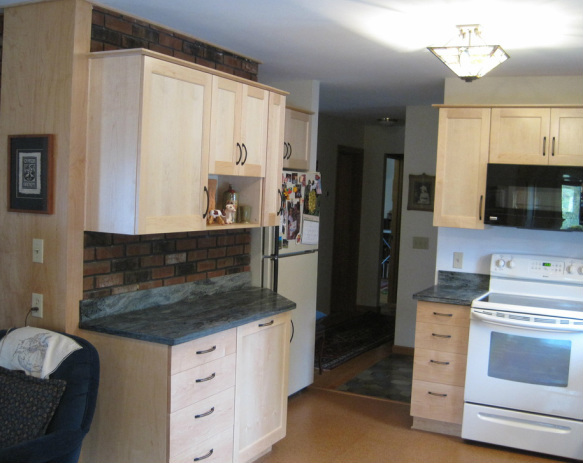 This was a remodel where the new design really improved the access and ergonomics of the kitchen. It also expanded the storage without cramping the floor plan. The new cabinets are a contemporary style maple, and along with the light blue wall paint the customer chose, brighten the room considerably. The counters are an Ashfield stone with blue and black tones. We also installed a new cork floor. The range will be replaced later with a black one to match the other appliances. I also built a kitchen table for this job from the same maple as the cabinets. It fits the alcove to the right in this picture. 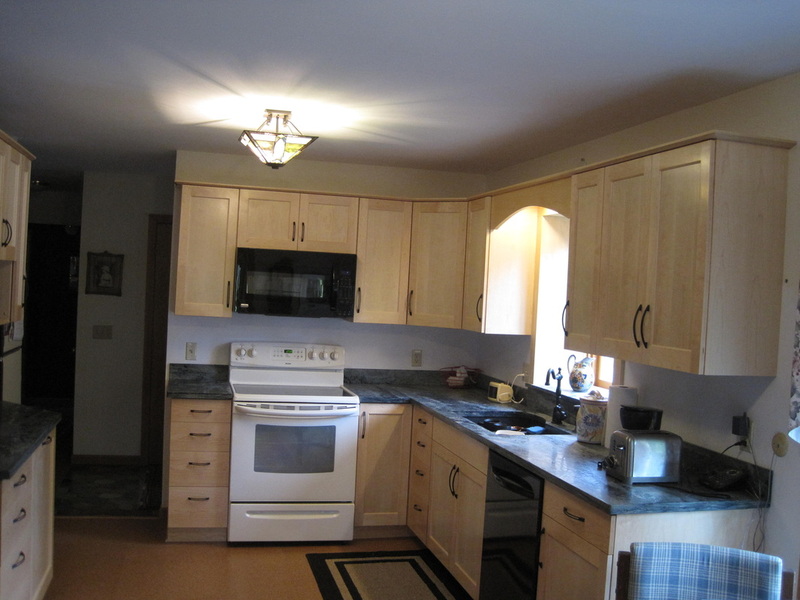 The cabinets in this next job are face frame cabinets, as opposed to the job above, which is European, or "frameless". 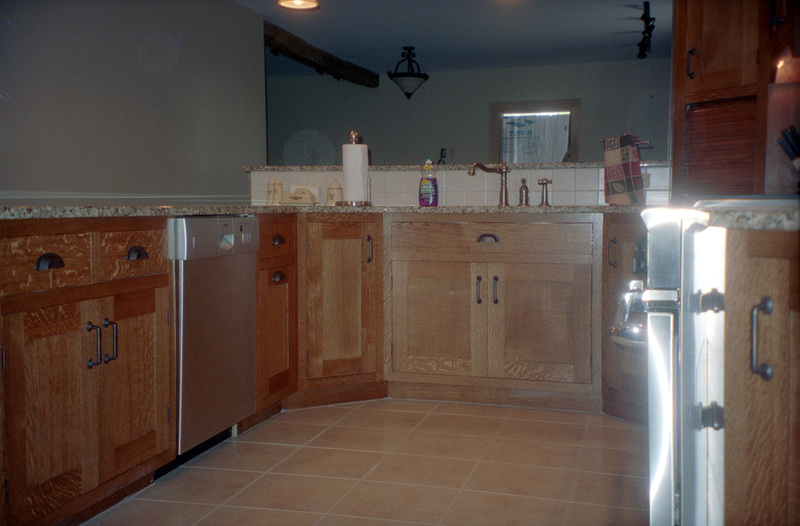 The style and finish of the cabinets below was taken from a favorite piece of mission style furniture of the owners'. 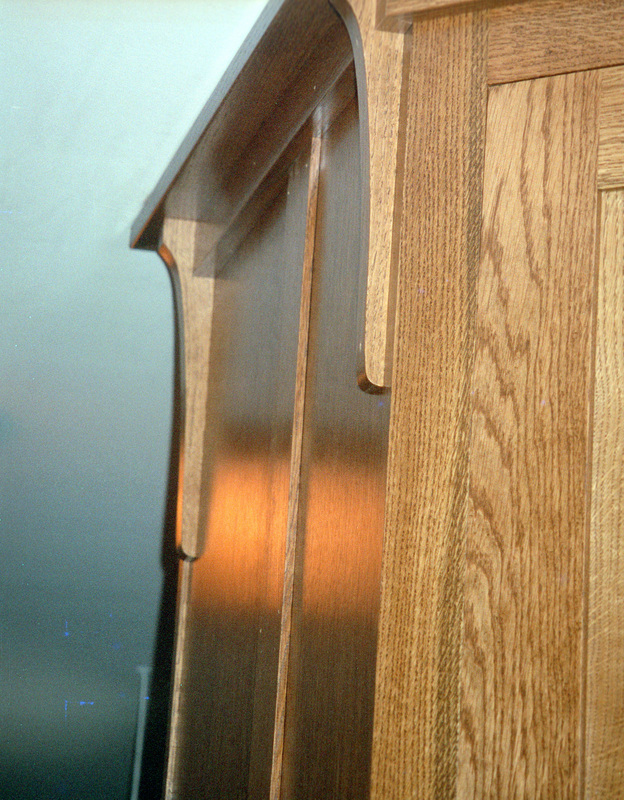 The wood is quartersawn white oak with a French provincial stain. The doors and drawers are inset, which takes more time, but looks great. 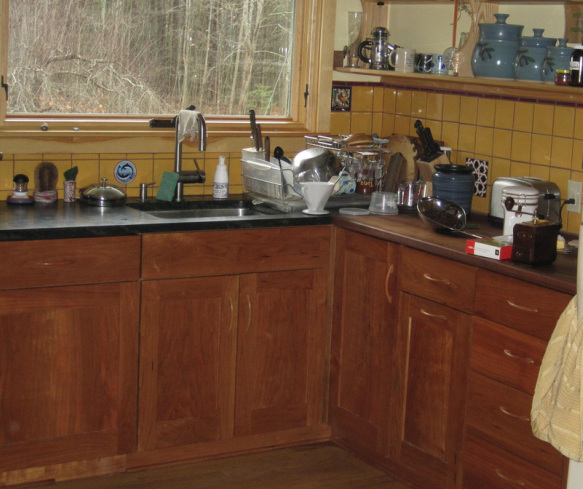 This was a spacious kitchen for a woman who loves to cook. 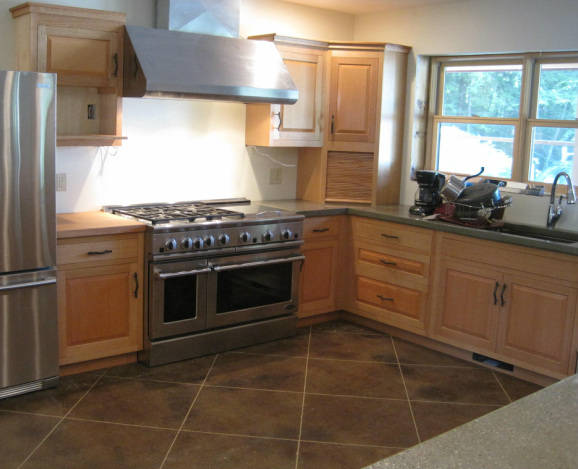 It included plenty of good lighting, granite counters, bronze handles and pulls, and a ceramic tile floor. 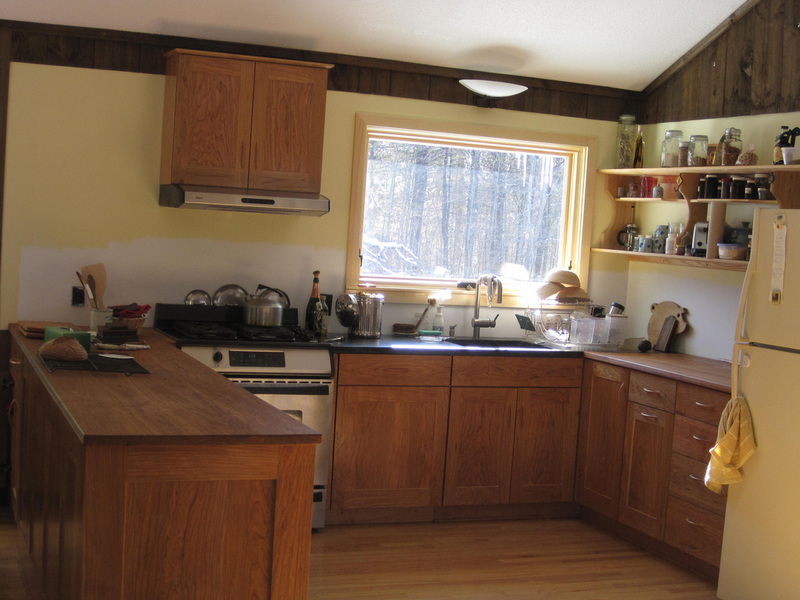 This next kitchen was built using lumber from a big cherry tree that grew in the owners' front yard. They had it sawed up and did a great job stacking, stickering, and covering it to air dry. Some say native cherry doesn't have the color of Pennsylvania cherry, but I thought this wood had tremendously good color, perhaps because it was air dried rather than kiln dried. This job also included making counters from the same cherry lumber. We used a mineral oil finish because one of the owners is an expert bread baker. 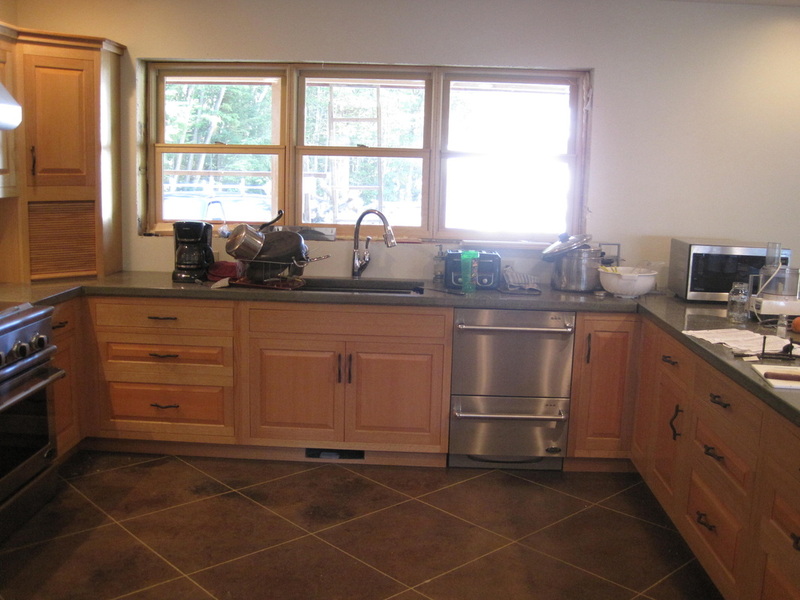 The counter in the sink area is soapstone. This photo shows the Mexican tile backsplash that was installed afterwards. 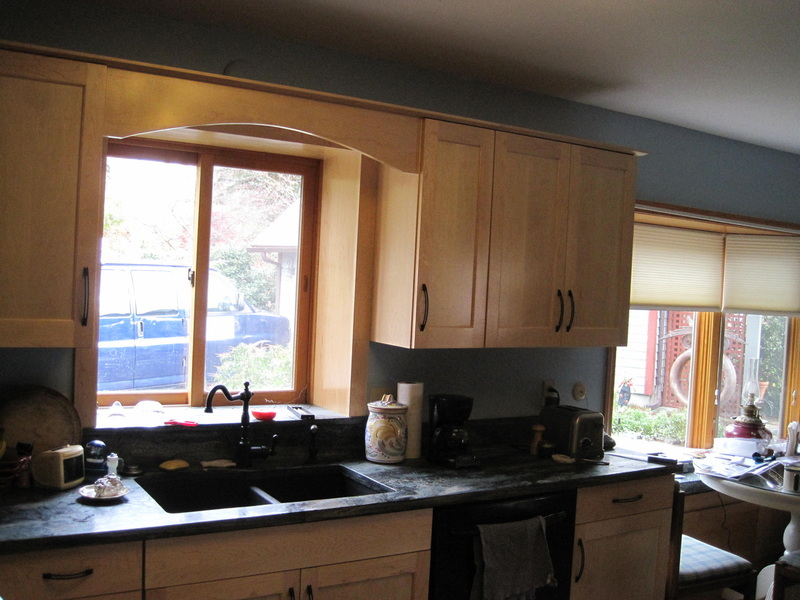 The following kitchen was for a new house that was spacious and had some timber framing and a western lodge feel to it. 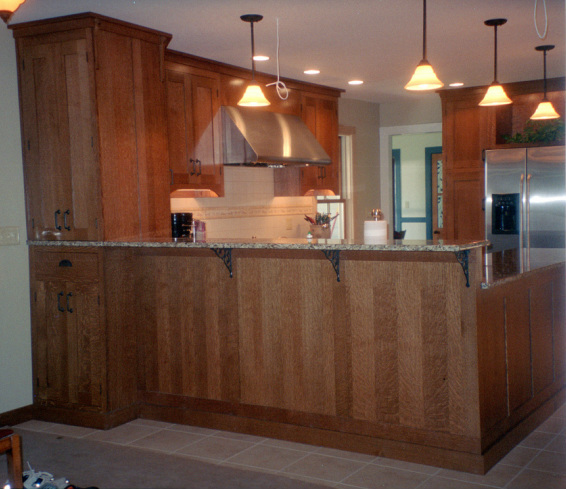 We chose quartersawn red oak for the cabinet frames and Douglass fir for the panels. Along with some great twiggy handles, it tied in well with the rest of the house. The counters are massive poured concrete, by the owner.